Most people drive their vehicle not noticing anything about the well-being of their car or truck. To them as long as it’s still moving they don’t care, getting from point A to point B is all that matters, right up until the check engine light comes on. Then they don’t know what to do, should they just ignore it? Maybe the bulb is malfunctioning, you might hope so but it’s probably not. Your check engine light comes on for a reason. It’s telling you that something is wrong with your vehicle. It’s also known as throwing a code which tells the mechanic exactly what is wrong. It could be a sensor, injector or a fouled spark plug. So take it to Elkhart Mechanics, they’ll tell you what is wrong and fix it right the first time. 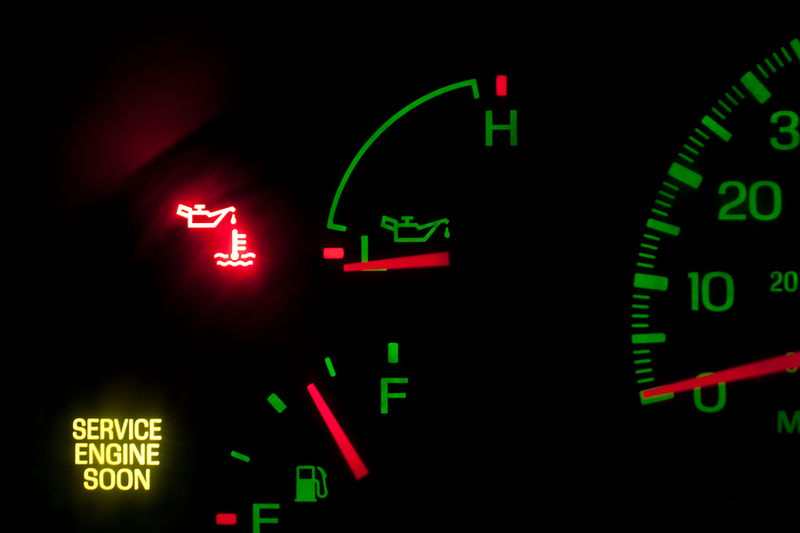 The “check engine” light on your dashboard turning on is a sign of a problem with your car, but unfortunately, it is not a very specific one. When there is no other problem, some people unwisely ignore the check engine light until something major goes wrong with the car. One reason the light might turn on is that your oxygen sensors need to be replaced. If your oxygen sensors are in bad shape, there might not be any really noticeable symptoms, but your vehicle’s fuel economy will be greatly reduced. If you have an older car, the problem could be that gas is evaporating from your gas tank, in which case the solution is to replace the gas cap. Another thing that can cause both a “check engine” warning and reduced fuel economy is a problem with the mass air flow sensor. Another possible cause of the “check engine” light illuminating is a faulty catalytic converter. The good news is that these do not fail very often, but the bad news is that they are almost always expensive to replace, because they are made of precious metals. One reason for catalytic converter failure is a problem with the ignition coils, which might also cause the “check engine” light to turn on, even before they damage the catalytic converter. The problem could also be something simple, like worn out spark plugs or wires, which are easy to replace. In older cars, you usually don’t find out your battery has a problem until your car doesn’t start, but in newer cars, an aging battery can cause the “check engine” light to turn on. If the “check engine” light is on and you feel the engine hesitating, the problem might be the exhaust gas recirculation valve. It is best to heed the “check engine” light and bring your car to the garage, before the problems get more serious.